This prayer was in my parish bulletin this week. I wish you all a very Happy and Blessed 2009! and use them to serve You and spread Your word. We know that all human relations take time if they are to grow and deepen. This is also true of our relations with You, the Father, and the Holy Spirit, which must grow over the course of our lives. In this New Year, let us realize that every action of ours no matter how great or small enables us to be in touch with you. as Sacrifice, to be offered among our relatives, friends, neighbors and all people. I always enjoy starting a new calendar. As the old year winds down, I go through the process of going over the old calendar and transferring any dates and appointments I need to remember such as birthdays, anniversaries, when to get the car inspected, etc. The new calendar with its fresh unblemished pages always represents hope to me. While the old calendar has something written on almost every day, the new calendar is relatively empty and full of potential. What will fill those days? That is the mystery yet to be discovered. I admit, I don't necessarily approach the new year with the same unbridled enthusiasm as I had as I child, or that my children now possess. I know that the new year will bring sadness as well as joy, but I do hope that there will be more of one than the other. I try not to make New Year's resolutions. It's not that I think that they are bad. Obviously, we should all work to improve ourselves. Honestly, it is just that I know that I won't keep them. Against my better judgment, last January I had made one goal (just one!) for the past year. I couldn't make it happen despite my best efforts which only leaves me feeling disappointed. Apparently, it just wasn't meant to be. Yet, there were many, many good things that happened during the year, things that I couldn't have predicted looking at the blank calendar in the beginning of January. Every year unfolds in ways I can't imagine. With each year, I'm getting a little better at letting go of any plans I might have and letting God lead my days. I was flipping through a women's magazine today that was full of ways to make the most of our lives in the new year. There was advice on dieting and health and making better use of our time. These are all good things. Yet, it seems that the most important advice was missing: the importance of trusting in God in the new year. Without God, all our best laid plans, whether they come to fruition or not, are not worth much. It is God who gives meaning to our days. It is only through prayer that we can come to know the will of God for our lives. It is only through spending quality time with God and offering our days to him that we can walk in his paths. In Mother Teresa's Secret Fire: The Encounter That Changed Her Life and It Can Transform Your Own , Fr. Joseph Langford writes how “prayer was the flame that rekindled the secret fire she carried within. . . She knew that everything stands or falls depending on the depth of one's prayer.” It is only through prayer that our lives can be transformed and we become instruments of God's will. Hand in hand with prayer goes faith. “Faith is a compass that infallibly points to true north, illuminating the presence, and the personality of God – even in the darkest night.” Mother Teresa held firm to her faith even in the midst of incredible poverty and hardship. She truly believed that God loved her and all of his creatures and that He wants only the best for us. God can bring good out of the worst calamity. God is always there with us. In this new year, we can follow Mother Teresa's advice. We can pray and have faith in God in both the good and the bad moments that may come our way. We, too, can know that God loves us and has our best interests at heart. We can choose to walk in his will for the coming year. Then, when this year's calendar has been all filled up, we will know that we spent the gift of time the way we were meant to. 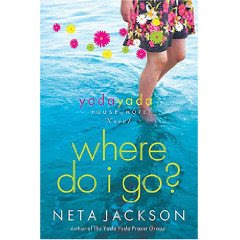 To the outside world, Gabby Fairbanks would seem to have it all – a wealthy, successful husband, a pernthouse apartment, and two sons she loves, but appearances are not everything. She has just been uprooted to Chicago for her husband's new business venture, is having marital difficulties, and her children are hundreds of miles away at boarding school. She is lonely and lost. When she trips over Lucy, a homeless woman, at the beach, she is introduced to Manna House, a local homeless shelter for woman. She soon begins to spend more and more time there, to her husband's chagrin. The staff and residents there offer her acceptance and an outlet for her God-given talents. She also begins rediscovering a relationship with God. She is attempting to trust in God and do what God wants, but it isn't helping things go any smoother. Her marriage is even more on the rocks, her mother needs care, and her relationship with her sons is rocky at best. Gabby is a likable character and readers will truly care about what happens to her. It is a very enjoyable read. The only caveat in reading this book is that there is no definite resolution. As part of a series, readers will need to wait another year to find out what happens to Gabby. I'm looking forward to the next installment. Promoting Care for the Caregiver! St. John was given the role of caregiver at the foot of the cross when Jesus asked him to take care of his mother. Beloved St. John, from the cross, Jesus entrusted to you the care of His Blessed Mother. Help me and all those taking care of a loved one who is sick, elderly, disabled, or frail. 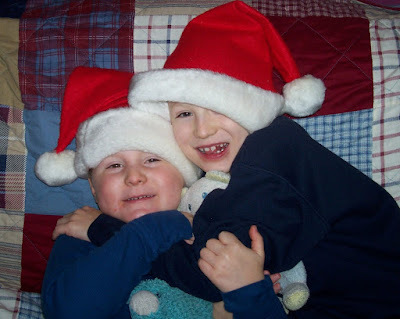 Pray for us, that as we go about our many caregiving duties, we may never lose sight of that truth which Christ revealed to His disciples: 'Whatever you did for one of these, you did for Me.' Amen. She had gone to her cousin Elizabeth to help her with her own miraculous birth. She had returned home to begin her life with her husband, Joseph. Then, heavy with child, she had to travel to Bethlehem. Now, she had just given birth among the animals, far from her family and friends. This really wasn't what she had in mind. Yet, she is thankful. The innkeeper was kind to let them stay here. They are safe, they are warm, and all went well with the birth. She smiles at her child. He is perfect, so perfect. If only her mother could be here to see him. He is the One her people have waiting for: The Savior, the Messiah, the Promised One. These are such big names for such a tiny baby, her baby who sleeps so peacefully in her arms. My soul proclaims the greatness of the Lord; my spirit rejoices in God my savior. (Luke 1:46-47). She checks on the baby again, makes sure that he is warm and dry. She remembers the shepherds looking at him. They had such reverence in their eyes. They knew that they were beholding a miracle. Yes, a miracle, a miracle entrusted to her care. She thought of the future, of all the things that he would need to learn. Yes, there was so much to think about. That young girl who had been living a quiet life before the angel came no longer existed. She was a mother now, the mother of the Savior. All ages will call me blessed. (Luke 1:48) Why did God choose her, out of all the girls in all the world during all the ages? Why her, a simple, poor girl? Why did the savior come as a baby? He could have just appeared in glory. Why come in such impoverished conditions? It didn't make much sense to her, but she knew that God must have his reasons. She would continue to trust, to hope, to believe. She would continue to say “Yes” wherever the road would lead. This baby would not only change her life. He would change the world. She is tired. She closes her eyes and dreams of the future. Yes, this baby would change everything. What was the secret fire that fueled Mother Teresa? That is the question that Father Joseph Langford who co-founded the Missionaries of Charity Fathers with Mother Teresa, attempts to answer in Mother Teresa's Secret Fire: The Encounter That Changed Her Life and It Can Transform Your Own . The first section, “Fire in the Night,” tells of Mother Teresa's Inspiration Day – September 10, 1946 in which she received her call within a call - “a divine mandate to leave the convent and go out to serve the poor in the slums.” More importantly, “she had been graced with an overwhelming experience with God,” an experience which she largely kept secret for many years. The second section, “Illumination” explores the light that emanated from Mother Teresa. People “could feel the presence of God in Mother Teresa; they intuited her holiness, and were drawn to it.” Being “light would become the focus of Mother Teresa's entire vocation.” She experienced great darkness in her own spiritual life, but that darkness enabled her to share in the pain of the people that she ministered to. She was sent to shown them God's love, to bring them light. She wanted to show all of us how to do the same in whatever place we find ourselves in this world. 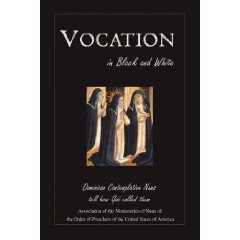 The final section, “Transformation,” illustrates how the “consuming fire” within the young Sister Teresa turned her into Mother Teresa “and how it can transform us as well.” The initial moment of inspiration was just the beginning. What fueled Mother Teresa throughout her life was her ongoing prayer with God. “Prayer was the flame that rekindled the secret fire she carried within.” Prayer is available to each and every one of us. “The gift of God's love is the fruit of a free and personal decision; one that cannot be coerced and manipulated, but only requested, yearned for, and waited on in prayer.” God will always respond. Mother Teresa's central message, the secret that she received on the train that September day in 1946, was the thirst of Jesus. Jesus wants each of us. God always loves us. He yearns for our love in return. We are all born with the desire for God. “Only God can satisfy us.” In “Mother Teresa's Secret Fire,” Father Langford does a remarkable job of promoting Mother Teresa's message and sharing it with the world. The little girl featured on the cover of this CD is named Anna and she and her family are part of the homeschool group we belong to. 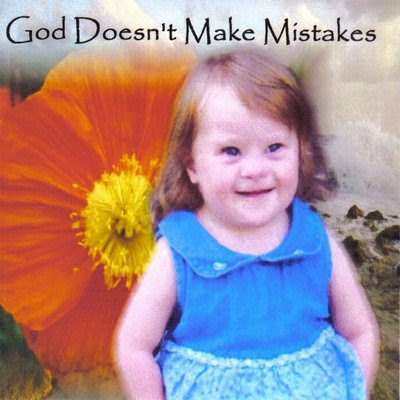 Her father wrote this song for her and for all the parents of children with Down Syndrome. Lying in the dark, staring at the ultrasound. And it might be a blessing if she did"
Little did he know we're all the more blessed 'cause she lived. And she loves you with a love so pure it just makes your heart break. Sittin' in the park, watchin' all the children play. My daughter walks up, they get quiet and a little afraid. And thank God for that girl who showed me what life's really about. And I'll fight for my baby with all of my might. Abortion groups have submitted their 50 page proposal to the Obama-Biden transition team. At the top of the list? More taxpayer dollars for abortion organizations like Planned Parenthood. How much more? Over 1.5 billion dollars more! Send a letter to your Senators today demanding that they keep your tax dollars out of the pockets of abortion providers. Yesterday we celebrated the beginning of the third week of Advent, which announces joy to the world. It is a welcome sign with all that is going on around us today. As Christians, we are called to stand in hope because of Christ, who brings light to the world, salvation for all. The Good News that Christ brings should never become cliché. The language we use to talk about Jesus, such as “light to the world” should not make our eyes glaze over because of their familiarity. When we speak of Jesus as our light, it is helpful to think about the effects of light, for instance. Light—like the sun on your window—has the ability to highlight the spots that were overlooked during your last cleaning. That same light can also lead you when the road is dark and you are not sure where you are going. We can think of our “cleaning” as an examination of conscience and we can think of that dark road as a particular trial we are facing or personal vice we are trying to work through. Jesus, our Light, brings hope for us as we strive for holiness. May God fully bless you during this week of rejoicing, bringing you to experience the true joy that comes with knowing Jesus, the Light of the World. For those of you who might be interested, I am still working on my novel, although I have to say, it is much harder this month. Now that the deadline has passed (and I missed it), it is harder to get myself motivated. Also, the more I write, the more I'm disappointed in the story. I refuse to go back and read anything of what I have written. I'm forcing my inner critic to stay "off" for this project. Still, I'm a pretty self-motivated person and I am bound and determined to get to 50,000 words even if it kills me (some days, I feel like it just might). Then, I will worry about reading it and deciding whether it deserves a second draft. I'm currently at 32,284 words. 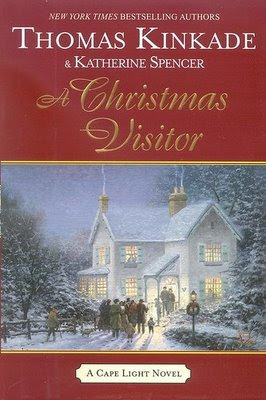 “Mom, what is this movie about?” a child asked his mother as “It's a Wonderful Life” was just beginning. “Sometimes I wish I had never been born,” the child continued. “Well, I would miss you very much,” the mother answered. “I do tell God I'm sorry, but sometimes I still think it would be better if I wasn't around,” the child insisted. “I love you,” the mother replied. At one time or another in our lives, perhaps even when we were still rather young, we might have thought the world would be better off without us. Maybe one of you reading this was thinking that very thought today. Like the child, we need to be reminded of God's forgiveness and love. We all have regrets, things that we have done in our past that we really wish we could take back. There are times in our lives when we feel like a burden to others. A child might feel responsible for his parents fighting. A chronically sick adult may feel like she serves no real purpose in the world, that she has outlived her usefulness. We suffer when we feel like others must suffer because of us, whether it is because of something we actually did or merely as a consequence of life circumstances. Our lives are far from perfect; but, no matter how bad we may perceive our lives to be, God is always there with open arms, ready to shower us with His love. There is no sin we have committed that God will not forgive, provided we are truly sorry. There is no burden that God is not willing to help us carry. God loves each and every one of us. The words of Psalm 139 tell us of the loving care that God put into creating each one of us. “Truly you have formed my inmost being; you knit me in my mother's womb. . .My soul also you knew full well; nor was my frame unknown to you when I was made in secret.” God indeed made each of us for a reason. The world needs each one of us. Each life touches so many other lives. We each have a role to play. Yes, we make mistakes, but without each of us, the world would be a little bit less than it should be. Even in the midst of our heartache and sorrow, life is an amazing gift. “I give you thanks that I am fearfully, wonderfully made; wonderful are your works.” May we give thanks today for our wonderful, imperfect, lives. May we treasure the gift we have been given. Note: If you are suffering from depression, please contact your doctor. If you feel that you may be a danger to yourself or anyone else, please call the National Suicide Hotline at 1-800-SUICIDE or go to your nearest hospital. As I am the mother of two boys, I don't tend to give a lot of thought to what it means to be raising girls (Except to be thankful that I am not. I am a firm believer that God knew what He was doing when he sent David and Isaac my way, because seriously, I wouldn't have a clue.). In any event, Sarah Reinhard has written a beautiful article for CatholicMom on The World of Little Girls and Possibilities. It offers a good reminder for all of us who were once little girls as well as for those who are currently bringing them up. Here is this year's quilting project, ready as promised, for Christmas. Some of you may recall that last year, I made a quilt for my husband and I. This year was David's turn. Yes, the colors are rather unique, but the fabrics were picked out of the scrap bag by a (then) six-year old boy. 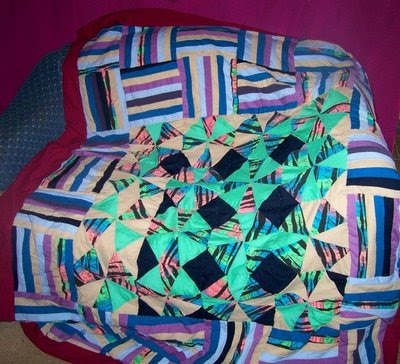 I'm already making plans for Isaac's quilt which I will begin working on in January with a hoped for completion date of Christmas 2009. This is today's entry from Living Faith. I thought it was particularly appropriate given the time of year. What a wonderful invitation! Jesus offers rest from our grueling burdens and arduous efforts. What surprises me is how easily I forget this generous invitation when I am overwhelmed with work or with troubles that inevitably arise. Instead of leaning on the heart of Christ, I give in to anxiety and worry. I work even harder and spend later hours in the office. I squirm and struggle, trying to get things to develop my way. Instead of turning to prayer and giving more attention to my divine resource, I lessen the time, believing it will help me to 'get more done.' What a crazy response to Christ's wonderful invitation. Eventually I wake up and remember, "Oh, yes, I can find rest. I can receive an easing of what consumes me." This will happen if I deliberately slow down, become still, and turn my heart toward the One who urges, "Come to me." - Sr. Joyce Rupp, O.S.M. My thanks go out to the Sonrise Morning Show in Cincinnati, Ohio for having me on as a guest this morning to discuss the history and symbolism of the Advent wreath. It was a great pleasure. It can be difficult to focus on the spiritual aspects of advent. Lent seems so much more conducive to prayer and fasting and sacrifice. The month of December requires much from most of us. There are celebrations to attend, children's pageants to get ready for, presents to buy, decorations to put up, and cards to send. The “things to do” list seems to take on epic proportions. The question of “are you ready?” prompts a mental overview of the tasks that still need to be done before Christmas arrives, rather than a reflection on our inner preparation. Yes, John is shaking his head at us as well. “Don't you get it? He's coming. Time is growing short. You need to get ready. Now!” John doesn't care about the state of our Christmas decorations. I imagine Jesus doesn't care much, either. They don't care about our famous Christmas fudge or how many presents are under the tree. They do care, however, about the state of our souls. Most of us don't live in constant anticipation of the end of time, the way the first generation Christians did, but for each of us individually, the end is near. We never know when death may come to us. We may live one more day or eighty more years, but in either case, life is short. The time given to us is short. Each year, in this season of advent, John the Baptist comes back to remind us, his voice shouting out to us to get ready, to repent, to change our ways. Today. Sharon Niedzinski, a devoted Christian, shares the real-life lessons she learned from throwing herself into a new life tending sheep. She not only learned the practical aspects of sheeprearing from reading everything she could get her hands on that referred to sheep and from kind-hearted neighboring farmers, but she also obtained brand new insights into the Bible and our relationship with Christ from her time on the farm. It is these lessons that she is most eager to share and which make this book very worthwhile reading. “Heaven has a Blue Carpet” both educates and entertains. Neidzinski has graciously shared her hard-learned lessons with the rest of us that we may profit from them. "Man will also give up and die without hope. Hope is a gift of life given to mankind by God. With hope, man can anticipate, aspire, and believe in what he does not see. The Lord delights in those who can put their hope in him and his unfailing love." "Are you hungry for God? Are you willing to let him do whatever it takes to get you to that place of broken, holy hunger? Are you willing to give the Shepherd total control over your life? If you do, don't be surprised if he starts messing with it. He might put you in a new pasture, in a different sheep pen, or even lock you up in a smelly stall for a while; whatever it takes. Don't hold on to any part of your life so tight that the Shepherd can't move it around or eliminate it! He alone knows your future. You have to believe that the plans he has for you are always for your good . . . even if they stink for a time." Please pray for the parents and family of a one-year old girl who died very suddenly due to a seizure. She was their only child and they had struggled with infertility for many years before conceiving her. They are donating her organs to others in the hopes of bringing some good out of this very sad time. I can't even begin to imagine the heartbreak. I'm sure that God has his reasons for calling that little girl back home but sometimes God's ways don't make much sense to us mere mortals. The vast majority of us will never have the opportunity to take a pilgrimage to the Holy Land, to walk where the patriarchs, prophets, Jesus, and the apostles traveled. Thanks to this amazing work by Eva Marie Everson and Miriam Feinberg Vamosh, however, we are all able to appreciate the beauty and history of this pivotal geographic area. 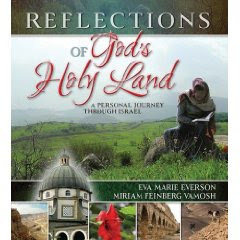 In Reflections of God's Holy Land: A Personal Journey Through Israel , Everson, a Christian, and Vamosh, a Jew, combine their knowledge and appreciation of the Holy Land to create an incredibly beautiful, informative book. The first thing one notices about this book is its sheer breathtaking beauty. Designed as a coffee table book, it is full of photos that counteract any preconceived notions of what the Holy Land looks like. Simply looking at the photos, one feels that one has stepped into a different world steeped in history and blessed by God. “Reflections of God's Holy Land: A Personal Journey through Israel” is a book to be savored and studied. It provides an armchair pilgrimage to the holiest of lands.